Each year has brought more milkweeds to my yard. At first, one or two appeared in the driveway. Last year, one or two grew behind the garden in front of the compost bin. This year, by the miracle of reseeding, a cluster grew. This was originally a story about milkweed plants, but then I realized that it’s impossible to talk about milkweeds without mentioning the Monarch Butterfly. Most nature lovers will know that a few years ago alarm bells were sounded, as scientists realized that North American populations of monarch butterflies were drastically diminishing. Why? 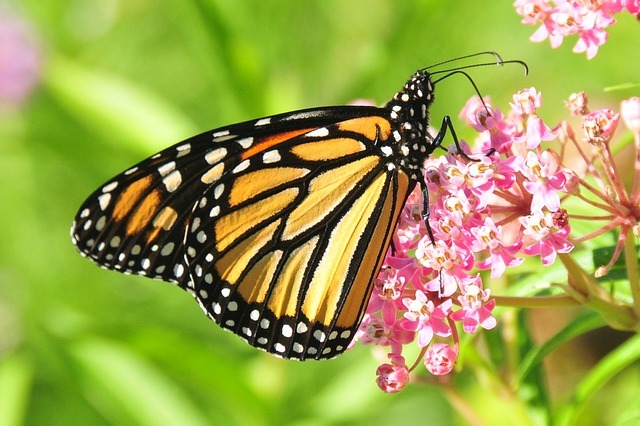 They pointed to a few causes: a lower supply of the monarch caterpillar’s only sustenance: milkweed; neonic pesticides interfering with caterpillar development; and deforestation of the adult butterflies’ southern migratory destination, Mexico. From this awareness, environmental organizations urged people to grow Milkweeds as they had been banished from roadways and killed off by herbicides in farmer fields. This is how I came to protect wild milkweeds near my home. It is a plant that fascinated me as a child, especially the milky substance that oozed out when you cracked a leaf and the silky threads bursting from the crispy pods in autumn. 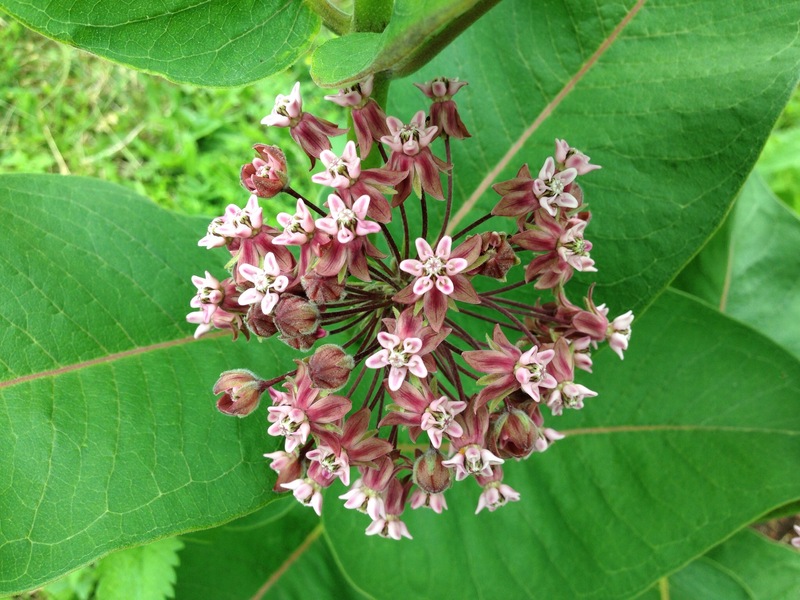 This summer, I grew to enjoy milkweed flowers. With them beside me every day in the garden, I was able to appreciate their sweet scent. 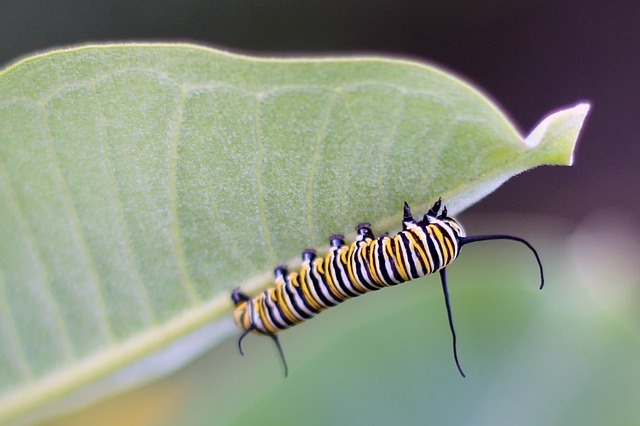 Monarch butterfly caterpillars can only eat milkweed leaves. This limited dietary regime, consisting of only one type of food, is called ‘monophagy’. Monarchs are brush-footed butterflies (Nymphalidae family) belonging to the subfamily of Milkweed butterflies (Danainae subfamily). There are about 300 species of Milkweed butterflies worldwide, in tropical Africa, Asia, Australia, and North America. 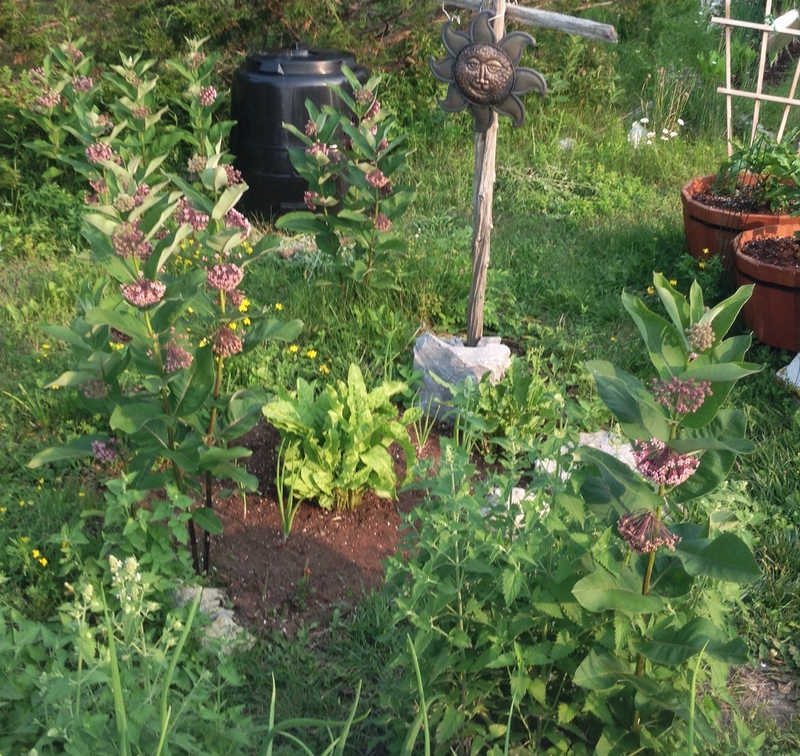 Here in poetic form is a monarch life story, told in Southern Canada, where third or fourth generation monarchs from down south arrive in early summer. resting under many a milkweed leaf. wow! I never knew this plant or this species of butter fly! thanks for the information in a beautiful way! I love your poem too how you reflected your thoughts through it all. Wonderful tribute to the Monarch, Janice. Your poetic words show your love of nature. Loved your post.